Hi Ladies! 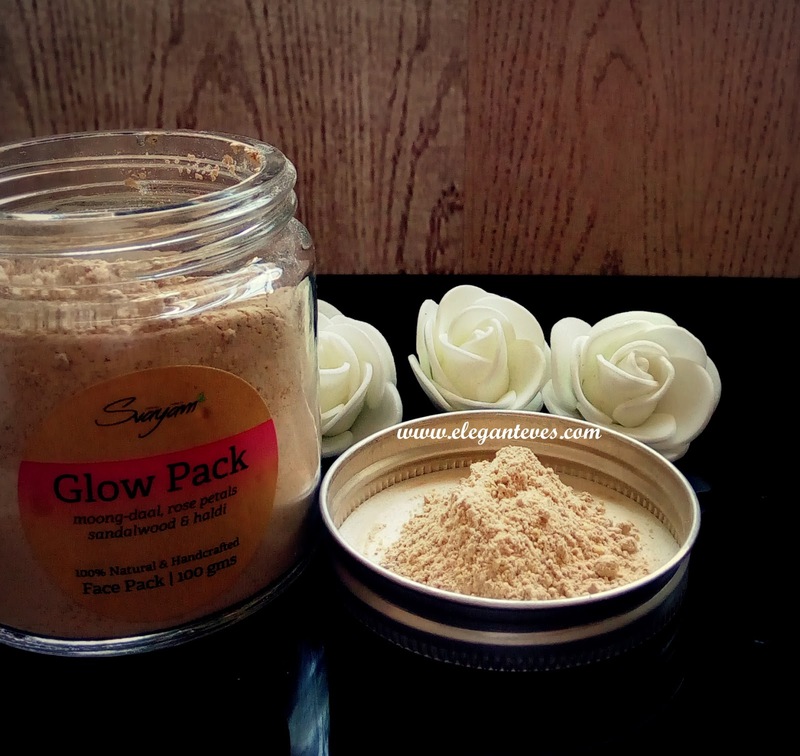 So as promised I am back with my second review of a product from the Svayam Natural range that I received a two weeks back (Check what all I received HERE). 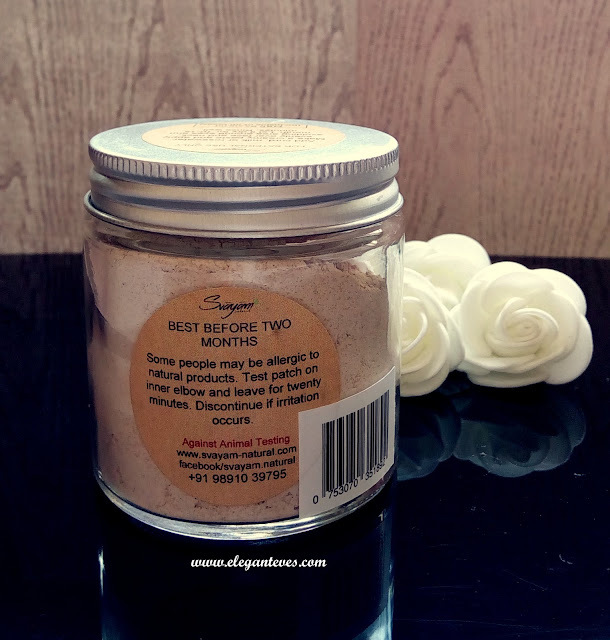 You must have seen that I was very much impressed with the Almond Oats Face scrub (Review HERE) and thus naturally I had high hopes from this one. Did it fare as good as the scrub? Read on to find! Direction for use: Add curd, milk or rose water. 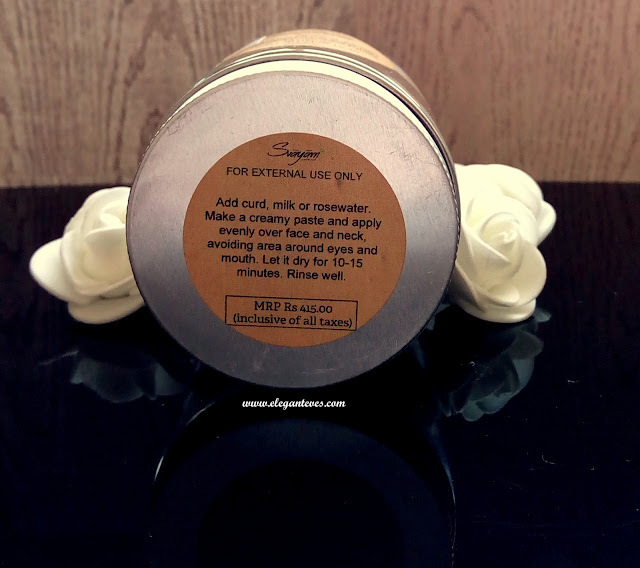 Make a creamy paste and apply evenly over face and neck avoiding area around eyes and mouth. Let it dry for 10-15 minutes. Rinse well. 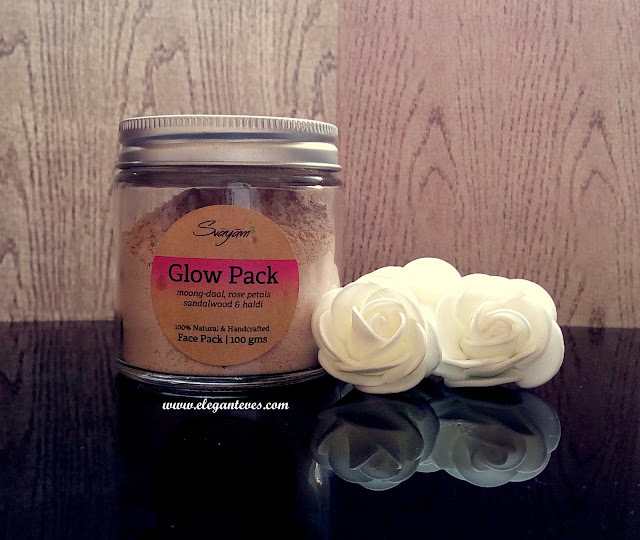 My take: This pack, quite like all other Svayam products does not have any artificial fragrance or color. It looks like normal clay packs and has a faint scent of sandalwood and rose. Since it was mentioned to use to the scrub with rosewater, curd or milk, I chose the last because of my dry skin. I took enough milk to make a paste and applied onto face and neck as directed. The paste looked darker in color as it went to a semi-dry state and I could also sense the presence of powdered lentils. Although they were finely milled, the tiny grains would act as a scrub while washing the face pack off. A word of advice here: you may not want to use any scrub prior to application of this mask. The scrub and then the second round of scrubbing when you wash this pack off might be a tad too harsh on skin. Ideal application would be to cleanse skin with a swab of cotton soaked in raw milk (an excellent cleanser) or rose water followed by a layer of this mask. Anyway, coming back to my experience, my dry skin takes a maximum of ten minutes to soak up all the goodness and then I have to wash the pack off. I follow up by massaging a drop of coconut oil on the still moist face (you may skip if you have oily or combination skin). And I don’t want to sound biased, but even this product’s quality blew me off! I could actually see an instant illumination on my skin after I washed the pack off. 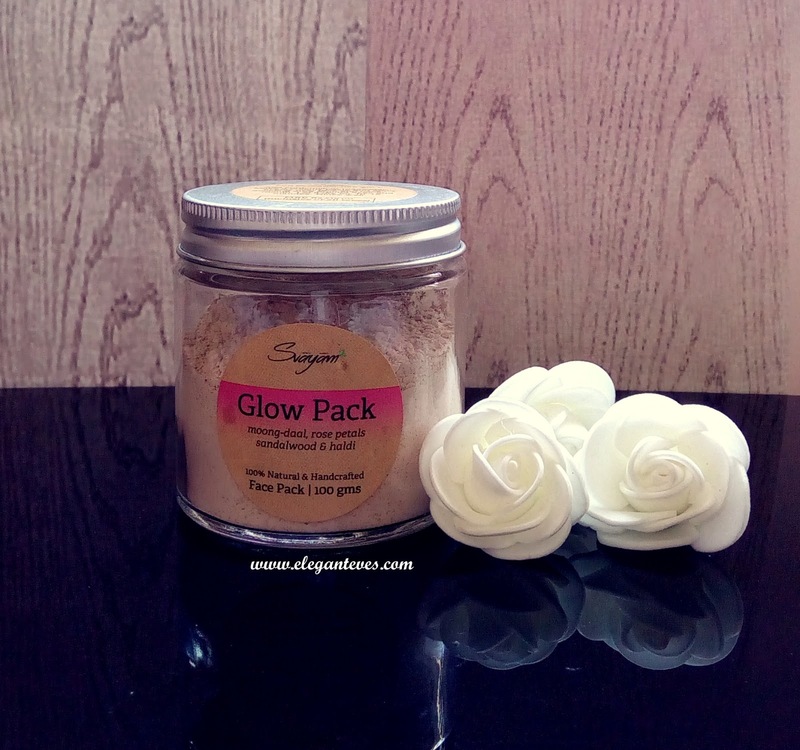 I can see myself using this pack at the end of a hard day before bedtime and then waking up to rejuvenated skin next morning! J Do give this a try ladies!